Skel is an unusually tall, strong man. His family came from Ireland and were enslaved by the Romans. Eventually they won their freedom. When William the Conqueror came to fight at Senlac field, Skel joined King Harold to fight to save England. Because their strong shield wall broke as men raced after the Normans, the English lost. Skel and about 200 of his friends were taken prisoners and enslaved. Skel became an excellent stone mason and was set to work with his companions building mott and bailey castles and later stone castles and chapels. Skel became the leader of his band of men. His attempts at escape failed. Before the Normans came he was engaged to RossAnne, a fine lady, but had no way to get word to her of his fate when he was enslaved. He was taught Latin by his grandfather and so, was selected to assist with the compiling of the Domesday Book by his overlords. The Irish were excellent Latin scholars. Daily he and his companions suffer at the hands of the Normans. Skel keeps score and throughout the book he is secretly planning brutal revenge on his captors. When the Crusades were being manned, Skel is sent along as a squire to a knight. The knight dies from his own folly and Skel takes his place. No one notices. When they return to England, Skel sees his evil overlord bring his RossAnne to his bed and forces her to marry him. The overlord has already forced Skel to marry the local harlot so that she can receive absolution from the church. 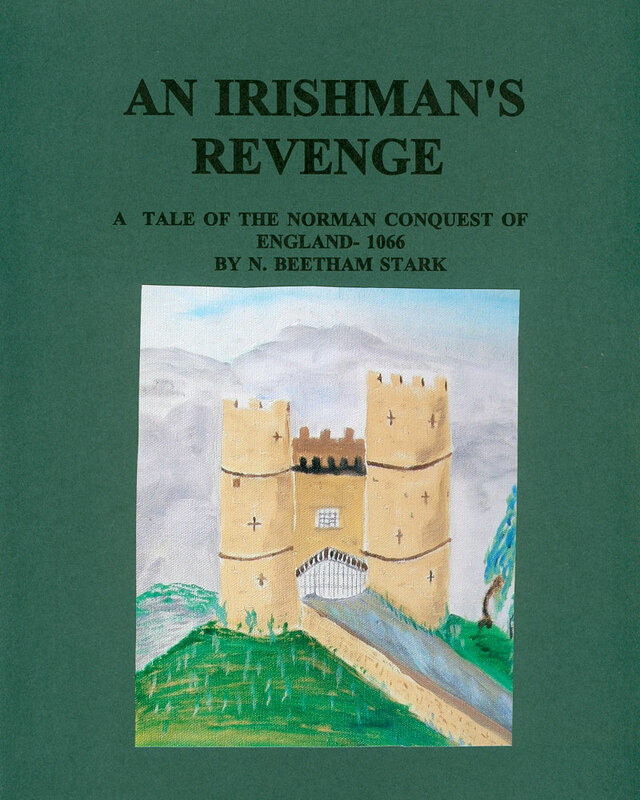 He suffers long and hard, but service in the Holy Land brought him one good bit of fortune which he now uses to help free his fellow slaves and bring down his Norman captors. All ends well, if you are English: not so well if you are Norman.